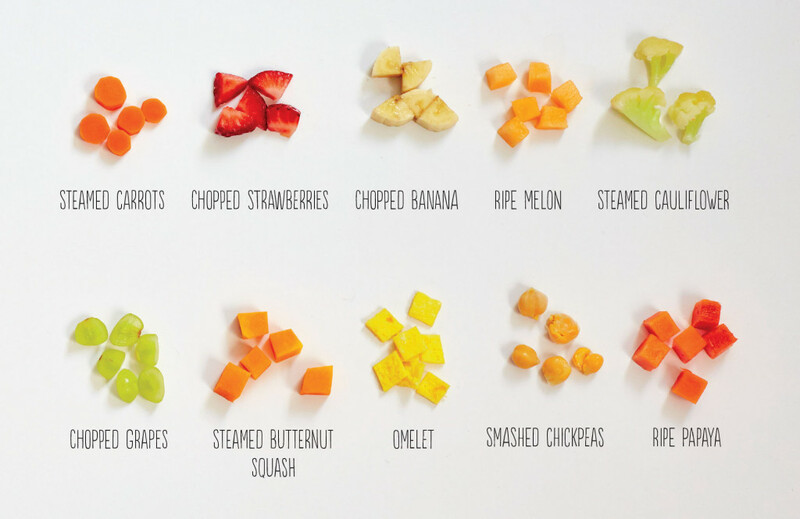 You’ve probably seen photos online of babies practicing baby-led weaning, chomping down on a whole carrot or grasping raw apple slices. But, is this safe? 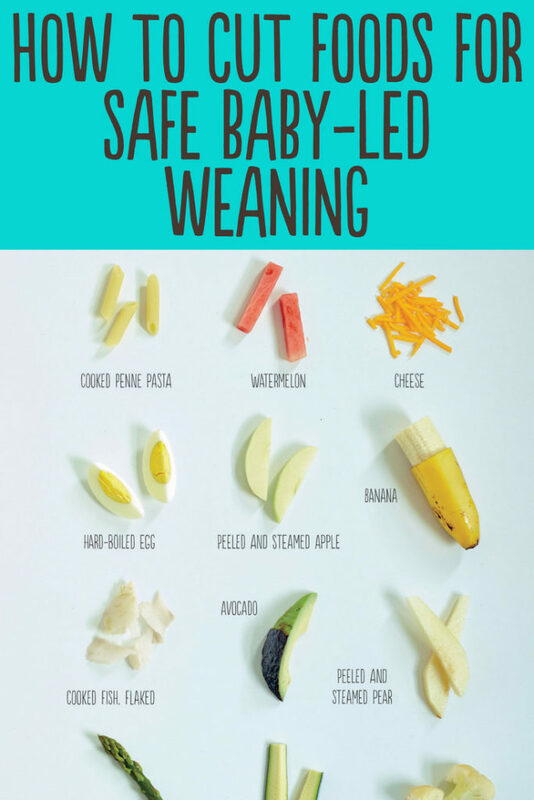 Baby-led weaning, or baby-led feeding as I prefer to call it, means that babies feed themselves finger foods as soon as they start solids. But it isn’t anything goes. Here’s how to make sure that the foods you give your baby are safe and easy-to-eat for your baby’s developmental capabilities. Because if your baby can’t pick up the food, then she can’t actually eat it! And these guidelines work for any finger foods, even if your baby is still eating some purees (which is just fine by the way!). 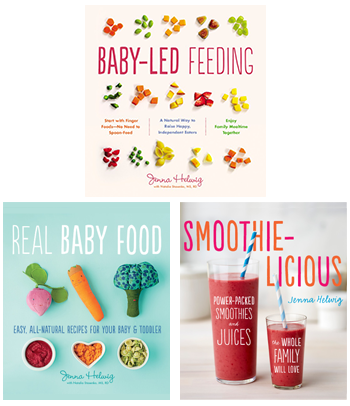 At around 6 months — Most babies just starting solids haven’t developed their pincer grasp (thumb and forefinger) yet. So to pick up foods they grasp them with their whole palm. Since you want your baby to still access the food while it’s in her palm, it’s best to cut food into long, thin sticks. 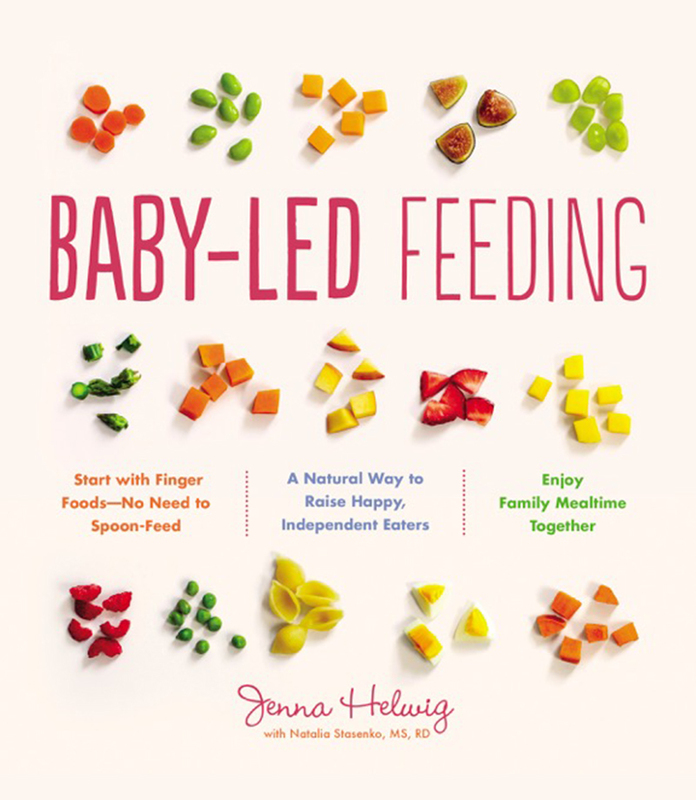 Think about the size of your pinky finger, and check out the photo above from Baby-Led Feeding for some ideas. 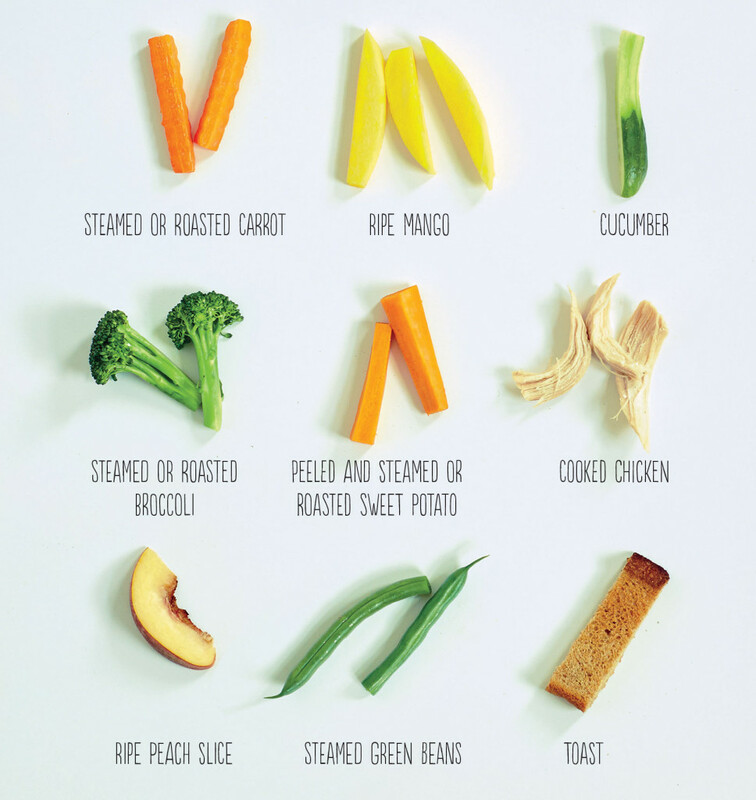 At around 8-10 months — When babies develop their pincer grasp start cutting foods into small pieces, about chickpea-sized. And for small round foods like chickpeas or blueberries, smash them lightly before serving. It’s great for babies at this age to practice their pincer grasp, but it’s A-OK to continue serving food in sticks like you did when he was younger. The photo above is from Baby-Led Feeding. At all ages — Foods should be soft enough that you can smash them with gentle pressure between your thumb and forefinger. This means no raw carrots, apples, nuts or tough chunks of meat. Remember, to err on the side of caution and always stay with your baby while she’s eating. Then enjoy the show!